This lighter version to the Real Steel G3 family was carefully designed by Ostap Hel. Unlike the regular all metal handle G3?s, the light version decreases weight by almost 40%, keeping the overall weight of the knife within a 100g remit. 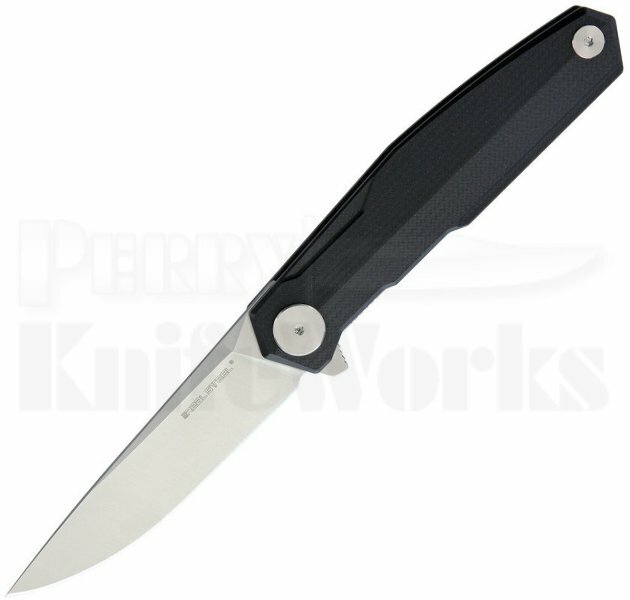 The black G10 handles offer a new feel and different kind of grip that unlike the metal handle .The liner lock mechanism and new flat grind are combined to make this knife the more nimble and agile member of the G3 series. 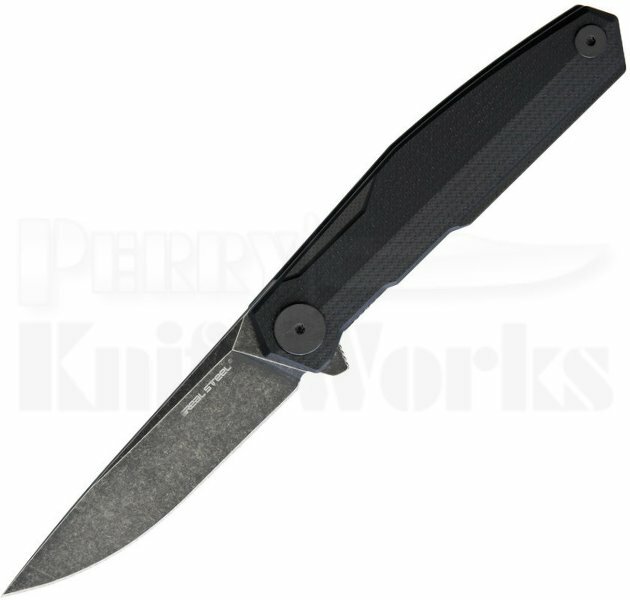 The blade has a newly ground geometric grind that gives it even more individuality from its predecessors.